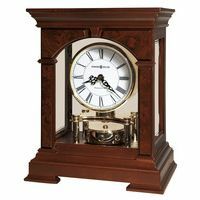 Windup modern style skeleton mantel clock. 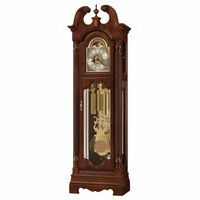 It features a swinging polished brass pendulum, a green wooden arched wooden case with open bottom, and a silver color Roman numeral dial with brass borders. The 14-day mechanical key wound movement is time-only (no striking). 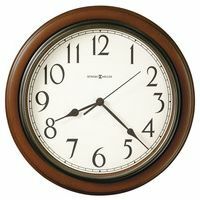 The wooden case is Made In USA at Hermle's Virginia factory, and the movement is made in Germany.